If getting down on one knee is too cliche for you, why not propose in a hot air balloon in front of your loved ones? 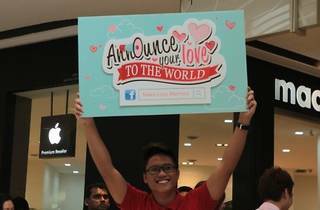 Poh Kong is offering 12 lucky couples with the most unique and heartfelt love declarations the chance to propose up in the air on Dec 12, the last same-digit date of the century (12.12.12). The winners also stand a chance to win prizes worth RM100,000 including a diamond ring from Poh Kong, a photography package from Touch & Tom Wedding Group and a two-day stay for two at the Golden Palm Tree Iconic Resort and Spa. 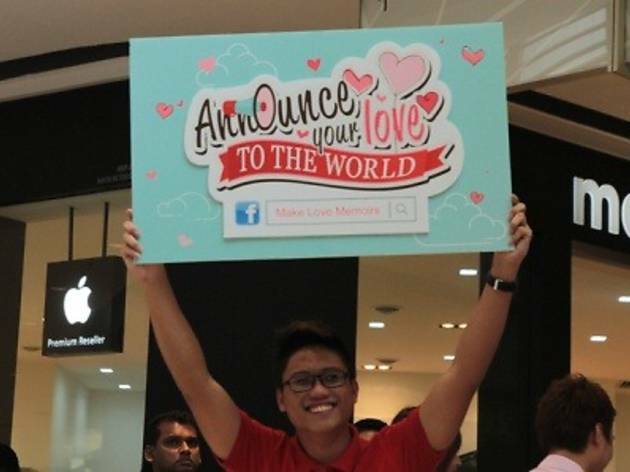 To take part, head over to Make Love Memoirs and click on the 'Announce Your Love to the World' app. Follow the steps, submit a photo of you and your partner with your love declaration and 'share' it to be in the running.